Nov 28, Cataloochee Ski Area, Maggie Valley NC will offer one session of skiing only: day skiing from 8:30am-4:30pm with an afternoon half day rate also available. Skiing is on 3 slopes with 2 lifts from midstation down with a 18"-24" base with a machine made surface. New snow will be made throughout the day today so come prepared for these types of conditions. 1. An improved group check-in process allowing confirmed groups to get out on the slopes faster! 2. A new, larger lesson area (free lessons for groups with 15 or more) and more beginner trails, all new this season! 3.An improved rental process. You can now download your groups' rental forms and have them filled out before you get there saving you time and putting your group on the slopes faster. Sugar Mountain has re-opened today for skiing, snowboarding and ice skating. Prices are: Full Day - $35, Half Day - $25, Kids Half Day - $20. Ice skating is open today from 10 am until 10 pm and the rink will open on Sunday from 10 am until 8 PM. 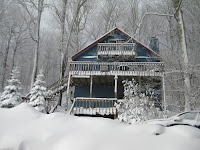 The Sugar Mountain NC resort near Banner Elk has reopened today, November 27, 2010after warm temperatures forced the ski area to shut down on Sunday, November 14, 2010. Snowmaking began yesterday afternoon as temperatures steadily dropped into the 20's and then into the teens overnight. Natural snow and temperatures in the teens and 20's are forecasted for later in the week. Take a real time look at the slopes through the live, streaming web cam at www.skisugar.com/sugarlive. A manmade powder surface covers the Upper and Lower Flying Mile slopes providing a run of a mile and a half long. The Summit #1 lift operates to the ¾'s station servicing both slopes for the day and ½ day sessions. Today's lift/slope ticket prices are $35 for an adult full-day session and $25 for an adult half-day session. December 11 -12 enjoy an array of activities during the annual SugarFest. 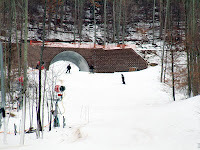 Cataloochee Ski Area in Maggie Valley will be open for skiing this Saturday and Sunday. The slower than predicted arrival of colder temperatures will prevent a Friday opening. Ski Schedule for Saturday, November 27: open at 8:30am for three sessions of skiing: day skiing from 8:30am-4:30pm, twilight skiing from 1pm until 10pm and night skiing from 6pm until 10pm. Ski Schedule for Sunday, November 28: open for day skiing only from 8:30am-4:30pm. November 21, Cataloochee Ski Area, Maggie Valley NC is skiing from midstation down, on three slopes and two lifts on a 6"-16" base and machine worked surface. There will be some terrain features available to ride on Sunday. One session of skiing is offered, day skiing only from 8:30am-4:30pm with an afternoon half day rate also available. Special pricing is in effect on Sunday and lift ticket rates for adults for the day session will be $28 and juniors 5 -12 will be $22. Midweek and Limited Season Passes will be valid on Sunday as well. Operating hours for the upcoming week: closed Monday, November 22 through Thursday, November 25 but planning to reopen on Friday, November 26 at 8:30am. Opening on Friday is dependent on snowmaking during the upcoming week. The next update will be Thursday. Colder temperatures are in the forecast for later this coming week which should allow additional snowmaking to add base depth and additional terrain for your holiday skiing and riding literally overnight. Stay & Ski Getaway for Two In the Great Smoky Mountains, Cataloochee Ski Resort is known for being an amazing ski area that features a vast array of trails and months of great snow conditions. Each mountain provides exceptional downhill and snowboarding opportunities. Take advantage of the great North Carolina skiing and save money on your vacation when you ski and stay at The Waynesville Inn. Stay & Ski Family Four Pack The Great Smoky Mountains, Cataloochee Ski Resort is known as an amazing ski area that features a vast array of trails and months of great ski condition. Each mountain provides exceptional downhill and snowboarding opportunities. Take advantage of great North Carolina mountain skiing and save money on your next winter family vacation when you ski and stay at the Waynesville Inn. November 20, Cataloochee Ski Area in Maggie Valley NC will be skiing from midstation down, on three slopes and two lifts on a 6"-16" base and machine worked surface. There will be some terrain features available to ride on Saturday and Sunday. On Saturday, one session of skiing is offered, day skiing only from 8:30am-4:30pm with an afternoon half day rate also available. Special pricing is in effect this weekend and lift ticket rates for adults for the day session will be $28 and juniors 5 -12 will be $22. Midweek and Limited Season Passes will be valid this weekend as well. Open Sunday from 8:30am-4:30pm. The decision as to skiing during the upcoming week will be made by 12 noon on Sunday. Persons planning on coming skiing beginning on November 22 should check on Sunday by noon for an update. BothCataloochee Ski Area and Sugar Mountain Ski Resort are "on hold" with snow making and hopes to open for weekend skiing. Reopening on Saturday, 11-20, will be dependent on the ability to make snow prior to Saturday morning. Persons planning on skiing this weekend should check by 12 noon on Friday, 11-19 for an update. Snow Report for Sunday, November 14 at Cataloochee Ski Area, Maggie Valley NC: On Sunday, there will be skiing from midstation down, on three slopes and two lifts on a 10"-24" base and machine worked surface. There will be some terrain features available to ride on Sunday. One session of skiing is offered, day skiing only from 8:30am-4:30pm with an afternoon half day rate also available. Special pricing is in effect this weekend and lift ticket rates for adults for the day session will be $28 and juniors 5 -12 will be $22. Midweek and Limited Season Passes will be valid on Sunday as well. Cataloochee will not operate during the week from Monday, November 15 through Friday, November 19 but plans to reopen for daily operations beginning Saturday, November 20. 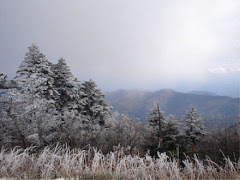 Persons planning on skiing at Cataloochee beginning November 20 should call by Friday, November 19 at noon for an update. Lift tickets purchased Sunday can be upgraded to a season pass...using the cost of your lift ticket you have already purchased against the price of your pass. You just pay the difference. An all session season pass at Cataloochee also includes $10 off the lift ticket price at Appalachian Ski Mountain. 8:30am-4:30pm, with a 10-24" Base, 3 slopes / 2 lifts and a machine worked surface. Get SPECIAL RATES...Adult Lift: $28, Juniors 5-12: $22. Since 1998, SnowShack.com has been supplying die-hard skiers and snowboards with all of the essential gear they need for the winter months. 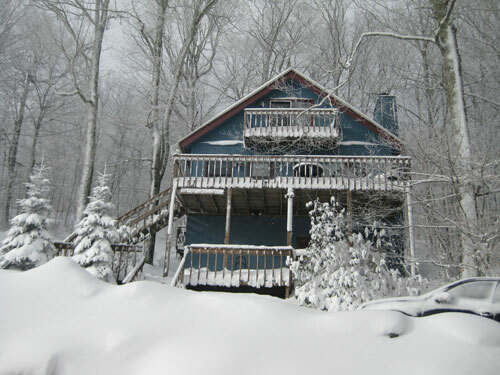 Founded and operated by a group of dedicated New England skiers and snowboarders, the team at SnowShack.com understands the demanding needs of our active customers. Snowshack: Your Ski, Snowboard and Snowsports Accessories one-stop shop - everything that the outdoor cold weather enthusiast needs. Get the lastest Goggles before you hit the Slopes! Check out all the new gear for 2011 at USOutdoor.com. Enjoy our FREE SHIPPING and NO SALES TAX! Located in Maggie Valley NC Cataloochee is North Carolina's First Ski Area and in recent years the first NC Ski Area to open for the season. 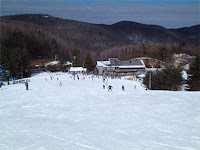 Catalochee offers Smoky Mountain Skiing, Riding and Tubing with 16 lighted slopes including the Cat Cage Terrain Park. With a variety of terrain for beginners to experts alike and over 4,000 sets of snowsports equipment, the Cataloochee experience offers something for everyone. 100% snowmaking, 16 lighted slopes including 1 terrain park, 2 advanced, 5 intermediate & 6 beginner; 5 lifts including 1 triple chair lift, 1 quad chairlift, & 3 conveyor lifts; and 6 lanes of snowtubing fun! PSIA school instruction. Intro to Skiing or Riding lesson is FREE with all ski and snowboard rentals any non-holiday Monday through Thursday! The closest lodging for weekend Ski getways and ski vacations can be found at Maggie Valley NC, Waynesville NC and Lake Junaluska. 11-7-10 Snow Report and Ski Conditions for Cataloochee Ski Area, Maggie Valley NC: At 6 PM, the temp is was 24 degrees and snow is being made. On Sunday, skiing is available from midstation down, on three slopes and two lifts on a 6"-12" base and machine groome surface. One session of skiing is offered, day skiing only from 8:30 AM - 4:30 PM with an afternoon half day rate also available. Pricing for adults for the day session will be $28 and juniors 12 and under will be $22. Midweek Season Passes will be valid this weekend as well. Cataloochee will NOT be open Monday through Friday, November 8-12, but will reopen on Saturday, November 13 at 8:30am. Cataloochee Ski Area Opened today! Cataloochee Ski Area opened this morning thanks to a cold wave in the weather and and a lot of overnight snow "making". Once again the first NC Slopes to open Cataloochee invested over $1.2 million dollars into capital improvements over the summer months including the purchase of 2 new Pisten Bully snow groomers, installing 13,000 ft. of snowmaking pipeline, replacing all adult boots and over 700 adult skis in the main rental shop and replacing 24 snowmaking guns with new efficient automatic fanguns. A new efficient six stick automatic snowgun system was installed on Alley Cat, the racing trail. 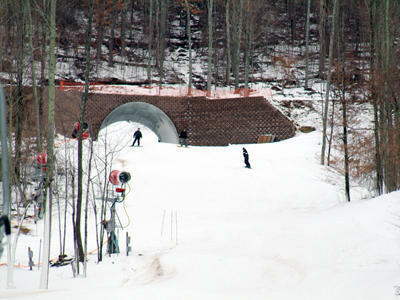 In addition,a new second terrain park in the Turkey Trot area has been added with four new snow guns. The 49th season at Cataloochee offers16 exciting slopes and trails in a friendly and helpful atmosphere that makes the Cataloochee experience truly unique. This combination of exciting and challenging terrain, breathtaking vistas and soaring freedom are rarely found on the East Coast. 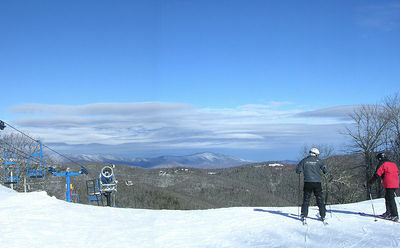 Cataloochee Ski Area is located mile high in the mountains of Western North Carolina at Maggie Valley MC.